The living room unites the things that make your house a home. Leisure, comfort, togetherness. It's the setting for countless memories and peaceful moments. So it's not surprising that paint colors for living rooms have a huge impact on the overall mood of your home. 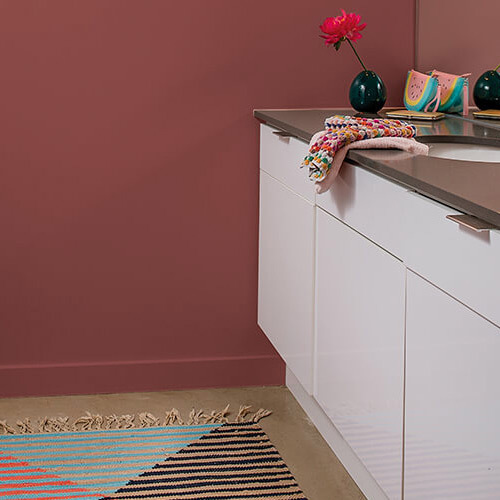 Depending on your home's unique personality, your space can be soothing or statement-making. It can have old-fashioned charm or modern appeal. Whatever your style, these gorgeous colors are the top choices for your living room. Green is the color of harmony and renewal. 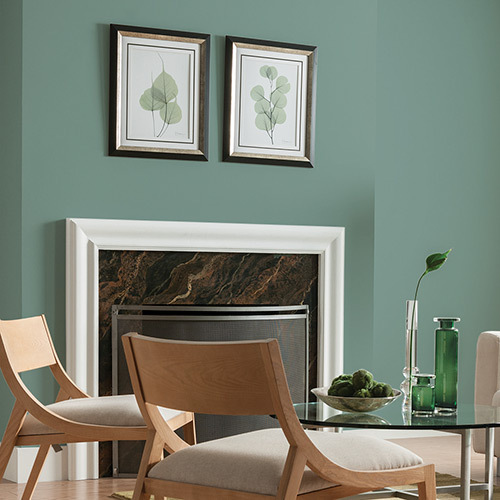 Because it echoes the hues of the natural world, it's one of the best paint colors for living rooms. If you don't have the space (or the energy) for a bevy of house plants, green walls will be the splash of life your living room needs. Green can be fresh and subtle at the same time; it's the perfect alternative for those who find neutrals too boring. Gray walls make your living room feel more spacious. Elegant and serene, a gray room suits modernist décor as well as vintage ensembles. 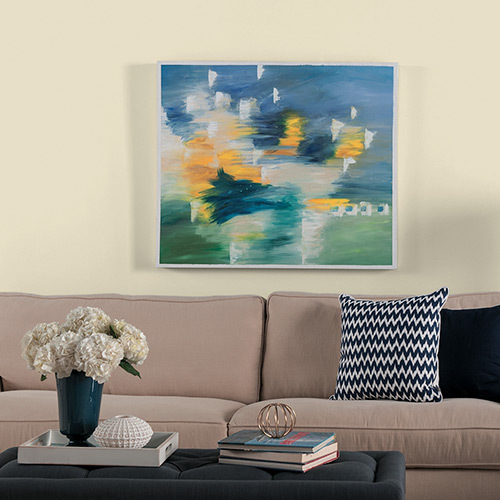 If you like to experiment with pops of color and conversation pieces, gray living room walls provide a nice backdrop for your artistry. Gray is a popular neutral for any room in the house, but it looks particularly sophisticated in the living room. It is among the most popular living room colors. Blue is America's favorite color, so it's a no-brainer for the room that brings everyone together. 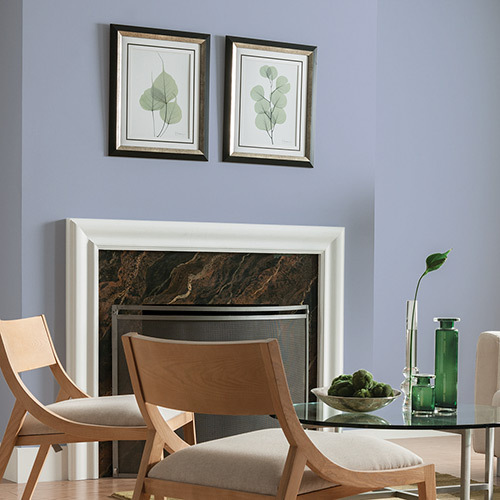 A blue living room has a calming, stabilizing effect on your home. There are many attractive shades of blue, and they all go well with neutrals like brown and cream. If your living room has hardwood floors, blue is an especially stylish choice. Blue living rooms seem clean and orderly without sacrificing color. Beige is the go-to neutral for interior designers. The dependable hue evokes the simplicity of raw fabrics. A beige living room is essential for a decorator who loves the minimalist look. The hottest design trend involves populating your living room with different shades of white. Subtle beige walls set the scene for this stunning, classy effect. Beige is one of the living room colors that people return to again and again. 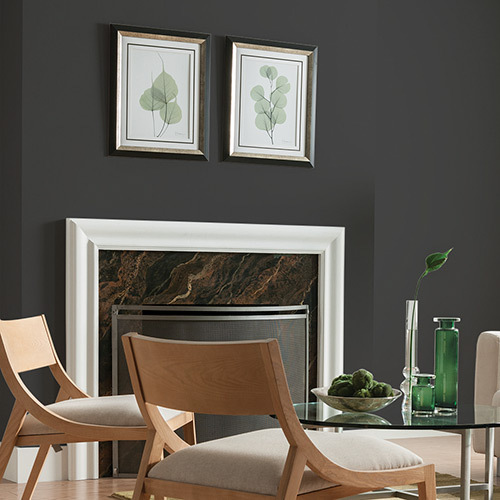 Black is not the most obvious color for a living room--but that's what makes it so great. A living room with black walls is unexpected and dramatic. Architectural details in the room draw more attention. Your furniture pops against the dark backdrop. If your living room gets a lot of sun, black walls can temper the glare of natural light. There are many ways to design a black living room, and they all make a strong statement that will be the centerpiece of your home. Off-whites inspired by sand, stone and cotton. 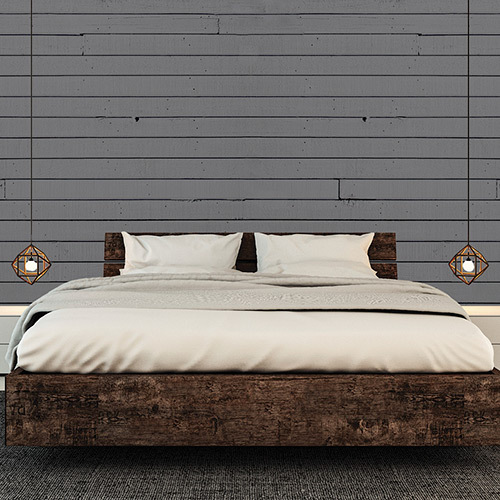 Shiplap walls add charm and subtle texture to rooms.